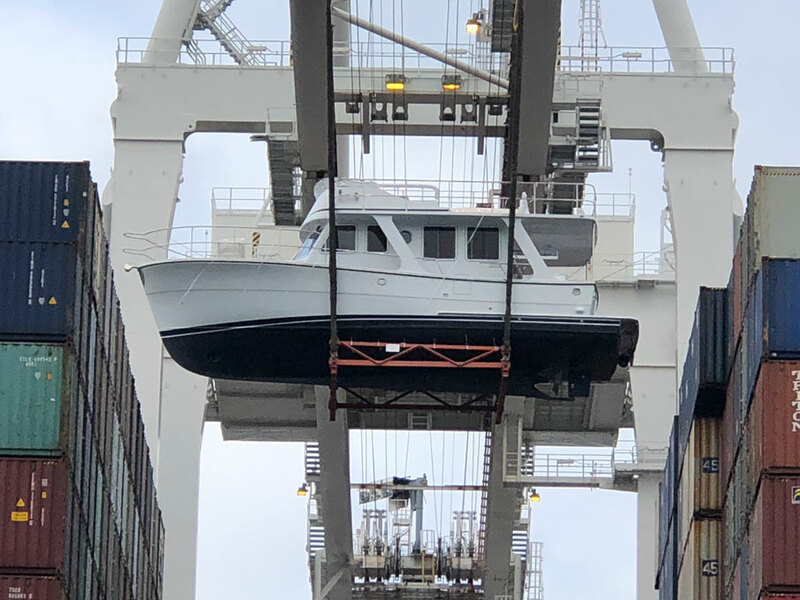 Helmsman Trawlers received the first of the new 2019 37 Sedans. 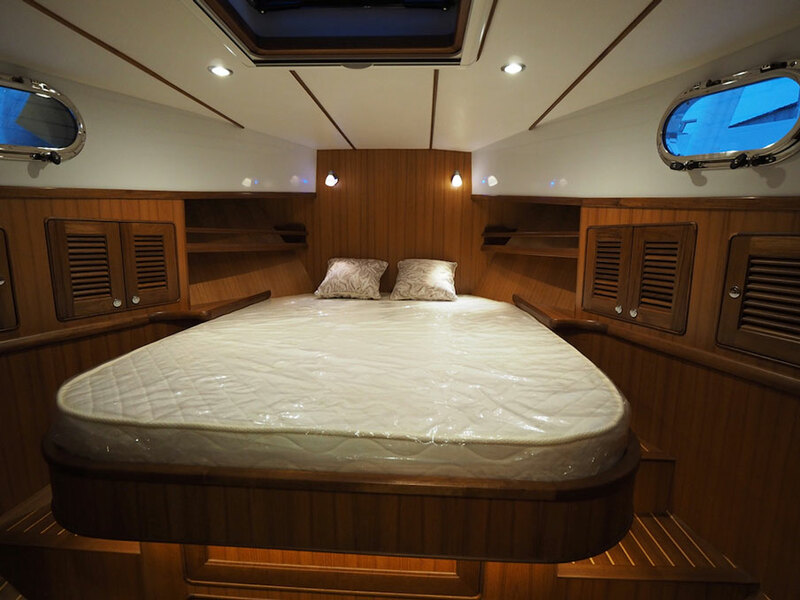 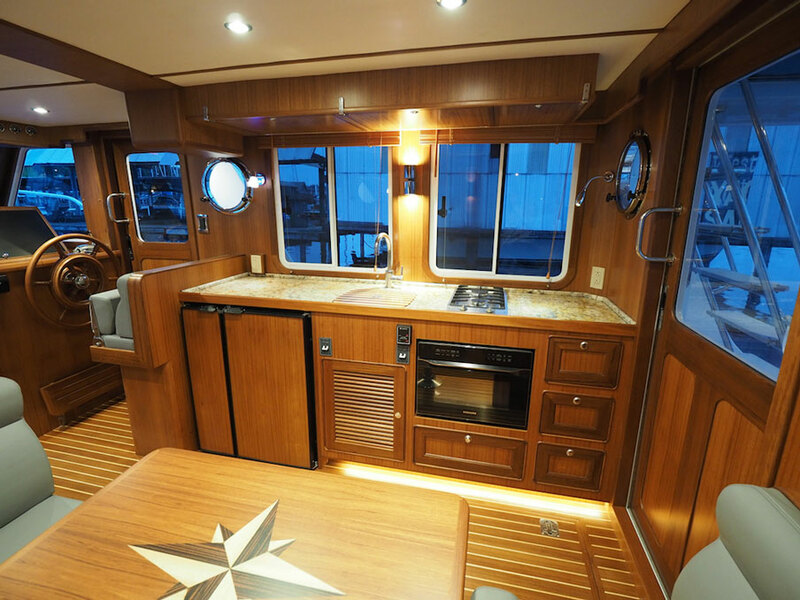 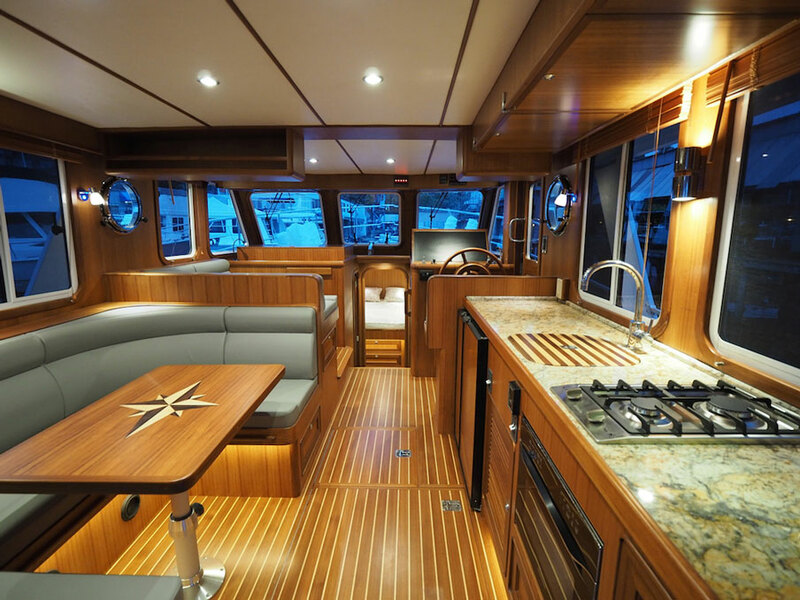 This new two-stateroom version features an extended full-length cockpit cover to provide rain and sun protection over the entire cockpit and more dinghy storage space topside, improved engineroom access, increased master stateroom storage and enhanced access around the berth, and many other evolutionary enhancements. 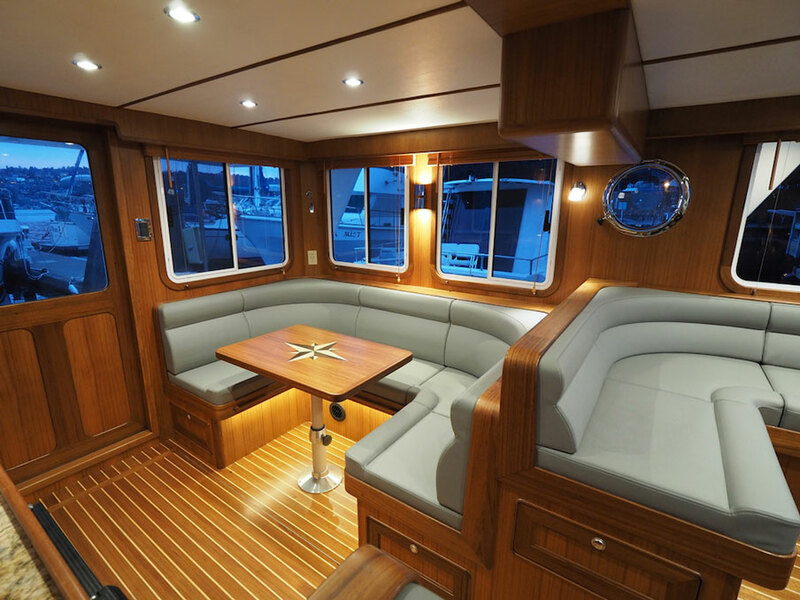 The photos of this boat in “as received” condition show the extraordinary measures Helmsman Trawlers takes in preparing and shipping completed boats!